One of the sweet features of Christianity is that God never calls us to his way of living without also giving us the wisdom we need and the power and strength to carry it out. He knows all about how hard it is to choose to love someone who is treating you poorly. God often compared himself in the Bible to a husband with an unfaithful wife (a metaphor for his often backsliding believers). He even instructed his prophet Hosea to marry an immoral woman as an ongoing visual aid: “The Lord said to me, ‘Go, show your love to your wife again, though she is loved by another and is an adulteress. Love her as the Lord loves the Israelites, though they turn to other gods’” (Hosea 3:1). True enough—some marriages can’t be saved. But as we reflect on God’s unconditional love and forgiveness for us, we are strengthened to love difficult people. As we reflect on God’s tremendous patience with us, we find strength to be patient with the sinners around us. As we reflect on his optimism and hope in our future, we will find strength to stay positive as a sacrifice of praise to him. To all who fear that their marriage has become loveless, know this: only the gospel changes hearts. Nagging, retaliation, and the silent treatment only make the angry angrier. Only love can create love. Clear the clutter in your life and realign your heart toward Jesus! Whatever has your attention has your heart. And in the busyness of today’s world, it’s easy to focus so much on the day to day that we forget who really matters: Jesus. 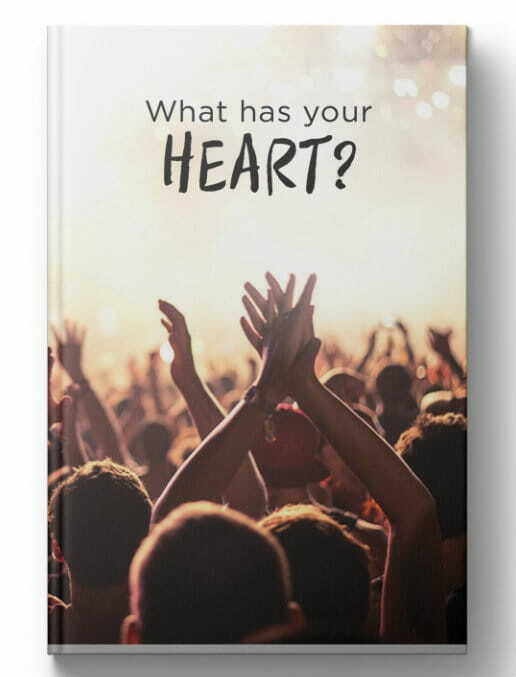 We want to help you clear the clutter in your life—so you can focus on what truly matters—by sending you a captivating new book by Pastor James Hein called What Has Your Heart? What Has Your Heart? is our thank-you for your donation by August 31 to help reach a $105,000 goal to enable Time of Grace to make much-needed upgrades in our video production—and engage more viewers via TV, social media, Roku, YouTube, and Your Time of Grace just to name a few! Request your copy when you give today—and start taking new steps in realigning your heart toward Jesus!